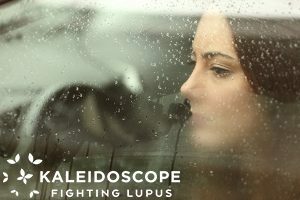 When diagnosed with lupus, what often follows is a flood of various emotions and wake after wake of seemingly drowning questions. It is quite possible that YOU are currently treading in the deep waters of self-reflection and shock of your diagnosis, as I write this. If that is the case – welcome. These are not uncharted waters, and you are not swimming alone. We has gone before you, laid a course, and will provide you with resources to help you stay afloat. Now, enough of the water puns…have you recently asked yourself these questions? Let me say, these questions are NORMAL questions to explore and are a part of a healthy grieving process. In that deep haunting place of questioning, we search for a clue, any clue, in the dark. “Was it something I did? Was it something I didn’t do? Was it something someone or something ELSE did to me?” Inevitably your search into the existential unknown may lead you down into the catacombs of thoughts like, “Am I being punished?” or “Am I being singled out by the universe?” “What on earth did I do to deserve this?” Those questions may be followed up by self-loathing, blame, shame, guilt, and the self-deprecation spin cycle can go on and on until you blow a fuse. Why you? You ask? Well, not to be blunt, but, why not you? Hate to break it to you, but the old expression “Why do bad things happen to good people?” is really not a question, but a statement in my opinion that’s missing a few lines. And the statement reads like this, “Bad things happen to good people. Good things happen to good people. Bad things happen to bad people…and good things happen to bad people.” The rain falls on the just AND the unjust. And that is just how this big, scary, beautiful, messy, complicated and marvelously crazy world works. If you have followed tennis, then I would be surprised if you didn’t know the name Arthur Ashe. He was an American professional tennis player who won three Grand Slam titles, was the only black man to win the singles title at Wimbledon, the US Open and the Australian Open. Moreover, he was the first black player ever selected to the United States Davis Cup Team. 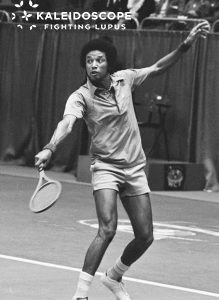 Arthur Ashe was awarded the Presidential Medal of Freedom after his early death in 1993. He died of AIDS-related pneumonia at the age of 49. I salute Mr. Ashe for his revelation. Yes, why not me?!?! Because, if not me, then who? Is someone else deserving of this? Cast off the shackles and cast them onto someone else? Nope. Don’t think so, doesn’t work. I think the truth of the matter is, that when bad things happen to us, it is hard to comprehend and accept because it feels unfair. But that leads me down another existential rabbit hole…is lupus bad? And who promised that life would be fair? Hypothetically speaking, if we lived in a fair world, where pain and hurt and disease and suffering – did not exist…who would we be as humans, individually and collectively speaking? Those wise words from one of my personal heroines, Helen Keller, are crucial when reflecting on your current thoughts about your illness. Finding peace and joy despite your circumstances, despite your pain and fatigue, despite your lupus, is no easy task. However, there is a cold reality here. The reality is, that, through this diagnosis you are given two choices. You either get bitter or get better. Richard Rohl stated, “If you do not transform your pain, you will surely transmit it.” Through your illness and through this season of suffering – learning to explore your current situation, ponder it, and use it to better yourself and help others, will benefit you fair greater than begrudging it. So how do you attempt to get to a place of peace amidst this not-so-idyllic scenario? How do you find joy when you are in constant pain? How do you accept your current reality when you grieving your past life? You have to choose it. And though this choice may seem difficult, you step out on faith knowing that through your perseverance, you are being shaped. You are being refined. You are making diamonds. Because there is NO one else better to learn from this, at this perfect time, to help others see… they can do it to.